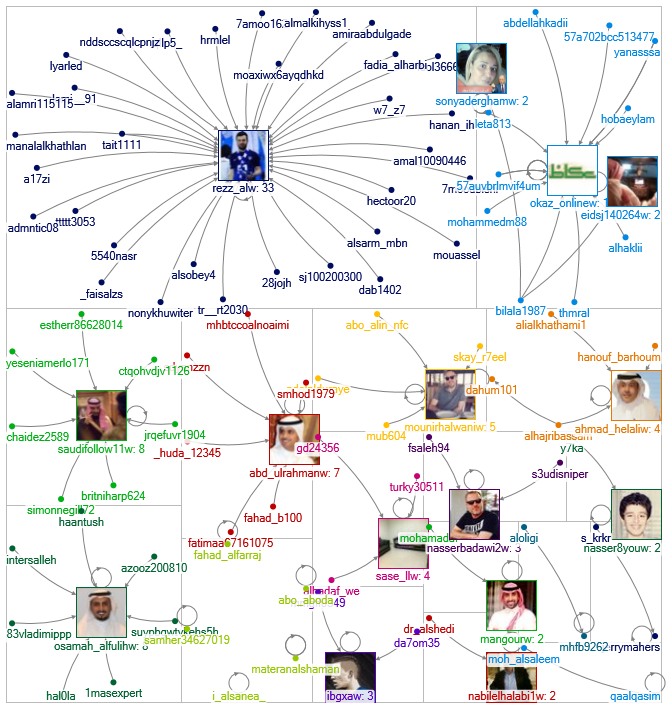 Who’s leading the #لبنانيون_ضد_حزبالله discussion? A new trending hashtag, #لبنانيون_ضد_حزبالله has emerged in the past few days, following the televised resignation of Prime Minister Saad Hariri in Lebanon and the start of the Lebanese-KSA crisis. 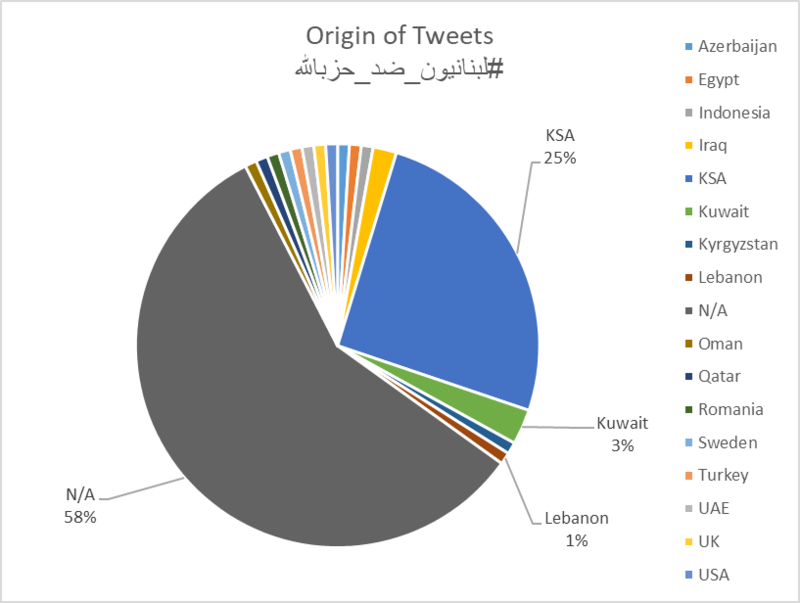 We briefly analyze the “Lebanese against Hezbollah” hashtag to better understand its origin and its propagation on Twitter. 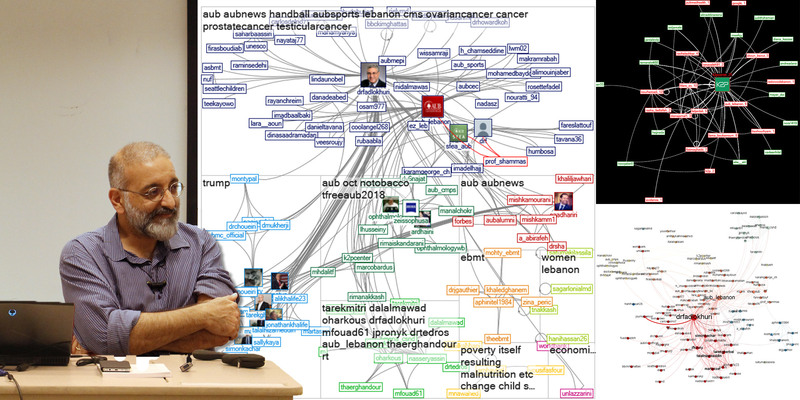 Our sample of 117 tweets is extracted on Nov. 12, 2017 from Twitter using NodeXL and Twitter’s search API. 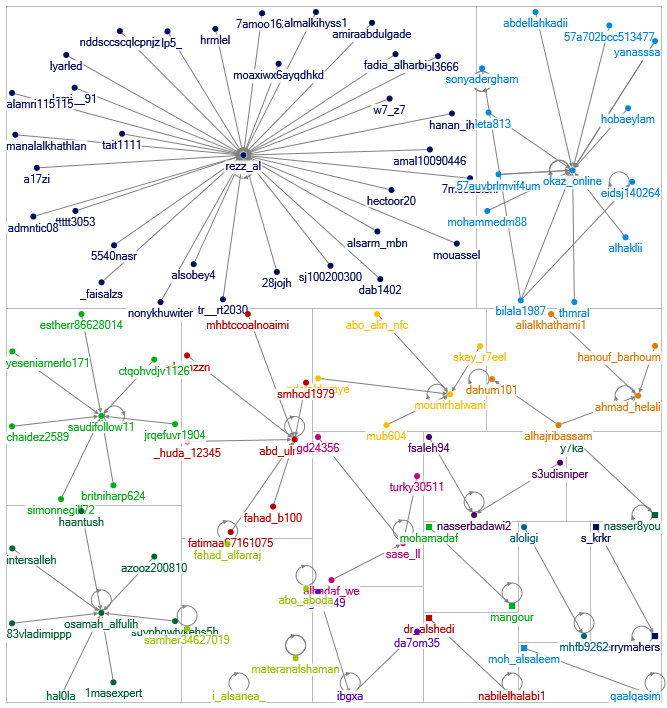 The structure looks like a set of fragmented clusters led by a broadcast leader. There is no real discussion about the subject. One tweet is launched and a group of followers is retweeting back. This does not seem like a genuine discussion, more like an “engineered” one. With this shape of network, it is very unlikely that this would be a trending hashtag or that it will last for more than a couple of days. Given the timing of the launch of the hashtag, we wonder who has initiated it. 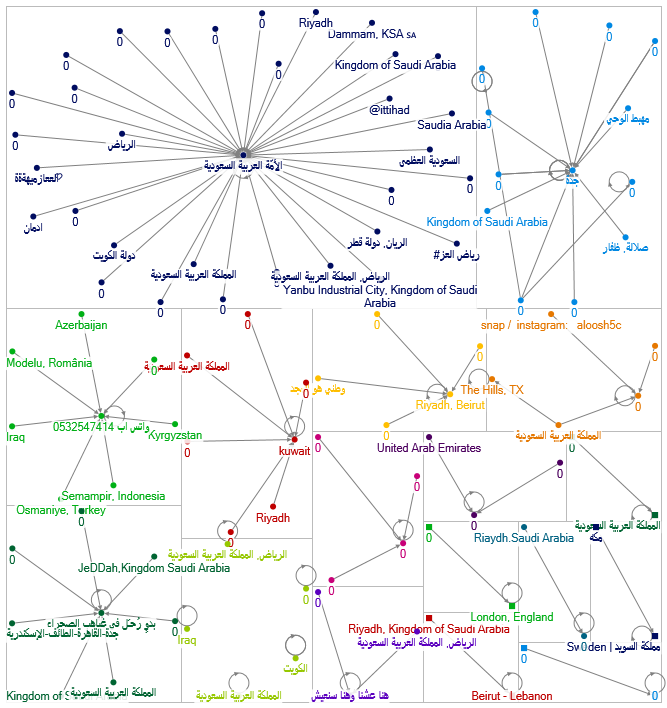 In the chart below, vertices are labeled based on their country of origin (COO) – vertices with a “zero” label do not have a country set in their profile. Based on the above and on the pivot table generated (below), it looks like the “lebanese against Hezbollah” hashtag was mostly generated and distributed by KSA residents or citizen (25%) and not by Lebanese residents or citizen (less than 1%). There is a margin of error to take into consideration (58% of the sample without a specified country). However, the overwhelming presence of declared Saudi residents/citizen against Lebanese residents/citizen in the sample, is significant enough.